Vehicle diagnostic testing is a simple way for mechanics to figure out what is wrong with your vehicle. Some shops offer a free diagnostic test when you bring your car in for routine maintenance, and these tests can help detect a problem before it spirals into a major headache. How Does Diagnostic Testing Work? When your grandpa took his car into the shop, he likely took it to a dealer that specialized in a certain brand or vehicle type. Back in the day, mechanics had to figure out what was wrong with the vehicle based on an inspection, the sounds the car was making, or what color liquid was dripping from the bottom. It took a skilled mechanic to correctly identify a complex problem. 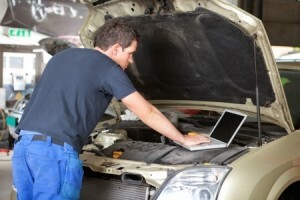 Today, mechanics have it easier because a computer can help diagnose the problem, but they have to be more skilled at servicing a wider array of problems on a bigger selection of cars. To figure out what’s wrong with your car, a mechanic will look at your vehicle’s Electric Control Unit (ECU). The ECU is present in all modern cars, and it makes it much easier to determine what’s wrong. When your ECU detects a problem, it turns on a light on your dashboard. Oftentimes this is the Check Engine light, but it can also turn on other lights, like your ABS or Oil lights. When you bring your car into the shop, a mechanic can download the error report that caused the light to turn on in the first place. The mechanic then compares the report to the manufacturer’s error log to determine the issue. P - There is an issue with your car's Powertrain. B - There is an issue with your car's Body. C - There is an issue with your car's Chassis. U - A "U" code means that the error is Undefined. If you have the capability to download the error reports on your own, you can look up what each error code means on the On-Board Diagnostic website. This can help you get a jump-start on fixing the issue if it’s something minor, or it can save the mechanic some time if you take it into a shop. Bring your vehicle in to Affordable Auto Service for the expert, personal care our customers have known for years. 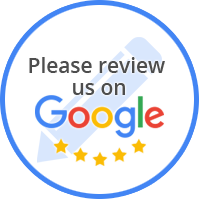 Your satisfaction is our reputation!